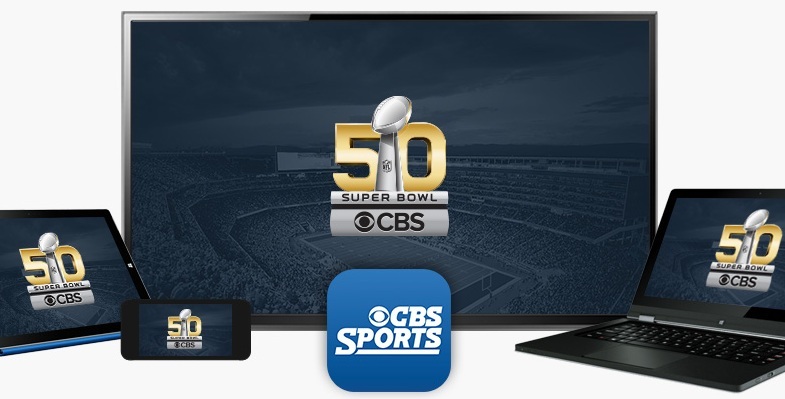 CBS Sports' broadcast of Super Bowl 50 is going to be next-gen. The golden celebration of America's game will feature never-before-seen features including 5K cameras covering the event and a new EyeVision 360 replay system that gives viewers a 360-degree perspective and higher resolution, reports CBSSports.com. Super Bowl 50 is to be broadcast on Sunday, Feb. 7, on CBS. The EyeVision 360 system, comprised of 36 cameras strung around the upper deck of Levi's Stadium, has the ability to freeze the moment and revolve around the play, then continue to play out the scene. It allows viewers to have a look in a moment's time from what the quarterback sees in the pocket to the safety's perspective or other points on the field. For the first time in its history, the 2016 Super Bowl will also have Pylon Cam technology and audio. The eight high-resolution, high-definition, point-of-view cameras housed inside the pylons also will have microphones embedded in them to enhance the natural sound of the game. Super Bowl 50 also marks the launch of a comprehensive redesign of CBS Sports' iconic logo. The broadcast will implement a new on-air graphics look for CBS Sports and CBS Sports Network that will debut as part of the Network's Super Bowl Week programming and its exclusive broadcast of Super Bowl 2016. Following the Super Bowl broadcast, the new look will be implemented across all CBS Sports and CBS Sports Network's telecasts. The previous CBS Sports logo made its debut in 1981. Jim Nantz and Phil Simms will call Super Bowl 50, along with Tracy Wolfson and Evan Washburn reporting. In addition, "CBS This Morning" co-host Gayle King will interview President Barack Obama and First Lady Michelle Obama live from the White House during CBS Sports' pre-game show. Super Bowl 50 will mark the network's 19th Super Bowl broadcast overall, the most of any network. Nantz and Simms will call the action, marking their fourth time calling the big game together. Nantz will call play-by-play for his fourth Super Bowl and sixth overall. Simms will provide analysis for his eighth Super Bowl, second only to John Madden as analyst for the most Super Bowl broadcasts, and the sixth for CBS Sports. Wolfson and Washburn will serve as sideline reporters for their first Super Bowl, as well as NFL Officiating Expert Mike Carey. CBS will use the NFL's Next Gen Stats to track players on-field and generate a broader set of statistical data in real-time, during its coverage of Super Bowl 50. Information includes: match-up based statistics between players such as separation distance between offensive and defensive players on any given play (ie. wide receiver and cornerbacks), how fast players are running, and how far they run over the course of the game on any given play. The Network's live four-hour Super Bowl pre-game show, The Super Bowl Today will kick off at 2 p.m. ET with host James Brown, analysts Boomer Esiason, Bill Cowher, Tony Gonzalez and Bart Scott, along with Ian Eagle, Greg Gumbel, Trent Green and Amy Trask, NFL Insider Jason La Canfora, as well as reporters Wolfson, Washburn and Allie LaForce, and contributor Jim Rome. CBS Sports' seven hours of Super Bowl pregame coverage originates from four sets -- one set in Super Bowl City in downtown San Francisco.